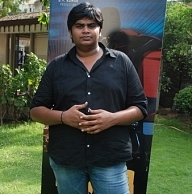 Karthik Subbaraj, the new age director brought in a totally new dimension to storytelling in his debut film Pizza which almost assumed a status of a cult film. He is currently involved in Jigarthanda, a film that is touted to be a Madurai gangster flick with Siddharth and Lakshmi Menon in the leads. This director continues to encourage and support any good work of his fellow directors which goes a long way in the film’s reach. Today, 19th March, Karthik Subbaraj celebrates his birthday and behindwoods wishes this uber ‘cool’ director many more to come and more successful years in the industry! People looking for online information on Jigarthanda, Karthik Subbaraj, Karthik Subbaraj birthday will find this news story useful.